Sales wagon for Cache Knitting Works on Main Street in Logan, Utah. Sings include "No More Shirt Tales," "We Make Everything You See," and "The Goddess of Comfort." View of Cardon Furniture store, McAlister Harness shop, and M.H. [?] Tinsmith. Around 38 West Center. 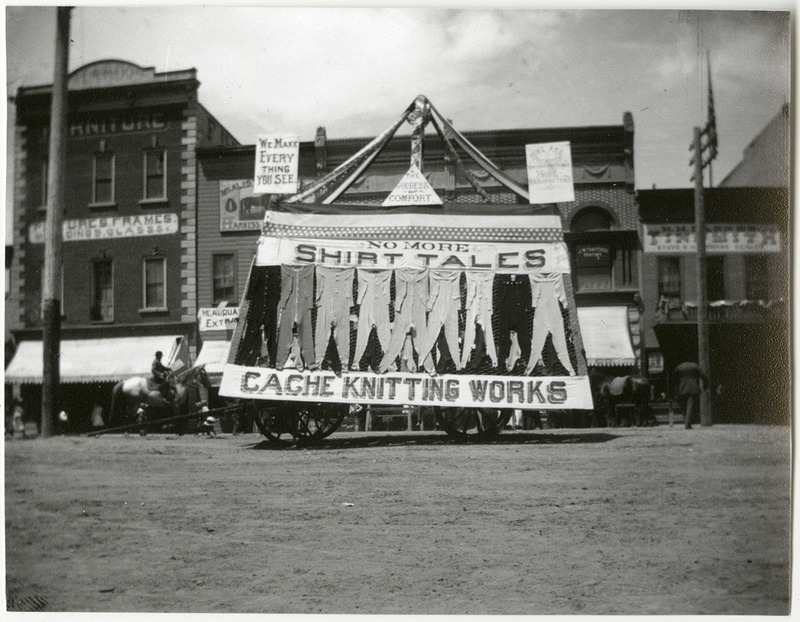 “Sales wagon for Cache Knitting Works on Main Street in Logan, Utah,” USU Digital Exhibits, accessed April 24, 2019, http://exhibits.usu.edu/items/show/19719.